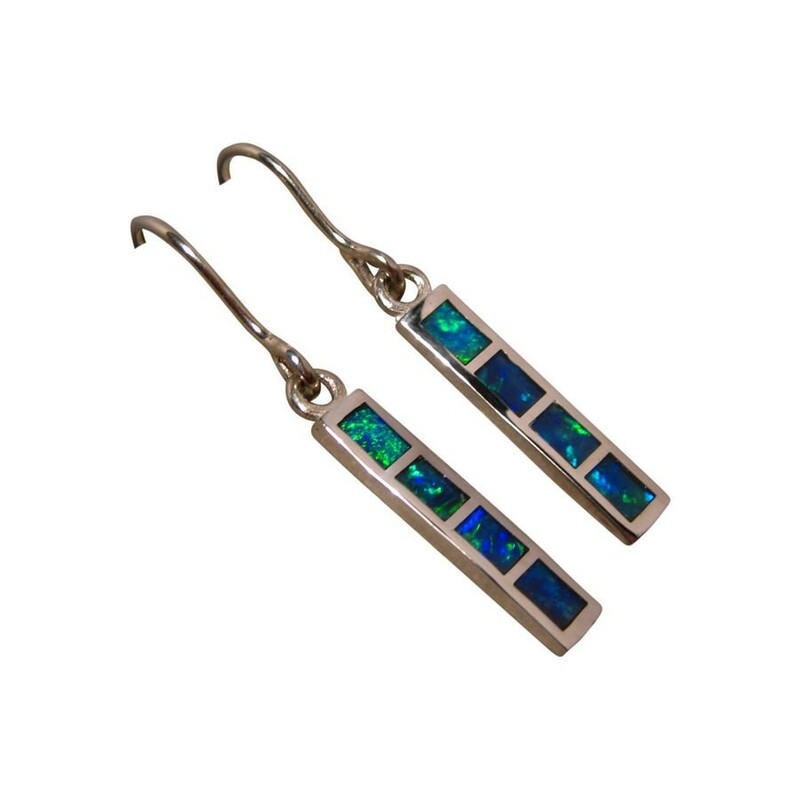 Beautiful Opal earrings in 925 Silver inlaid with bright Blue and Green Opals. 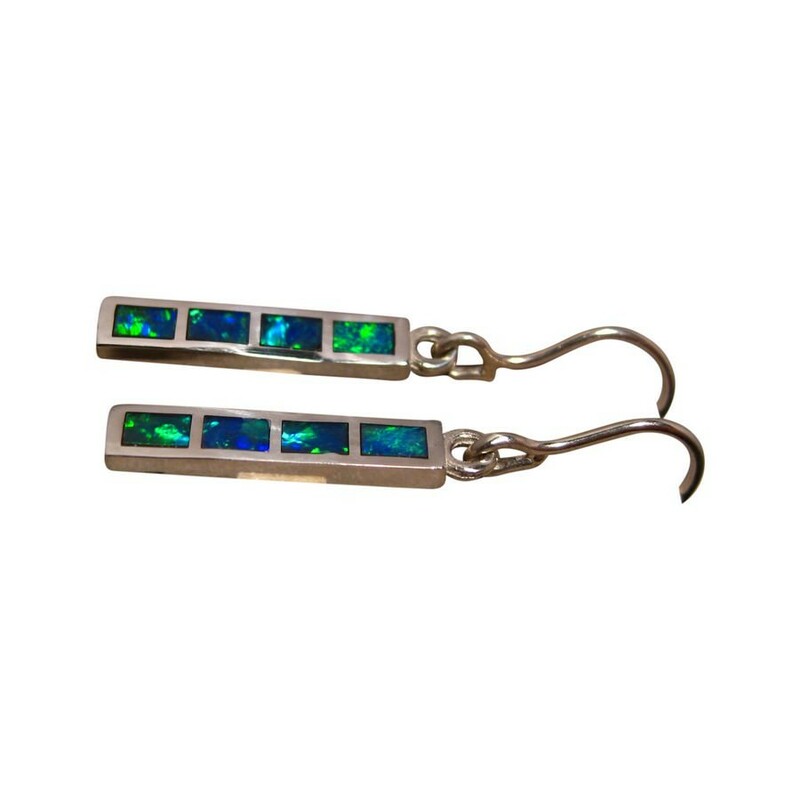 These Silver Opal earrings have a stunning mix of Blue and Green which is highlighted against the Silver. 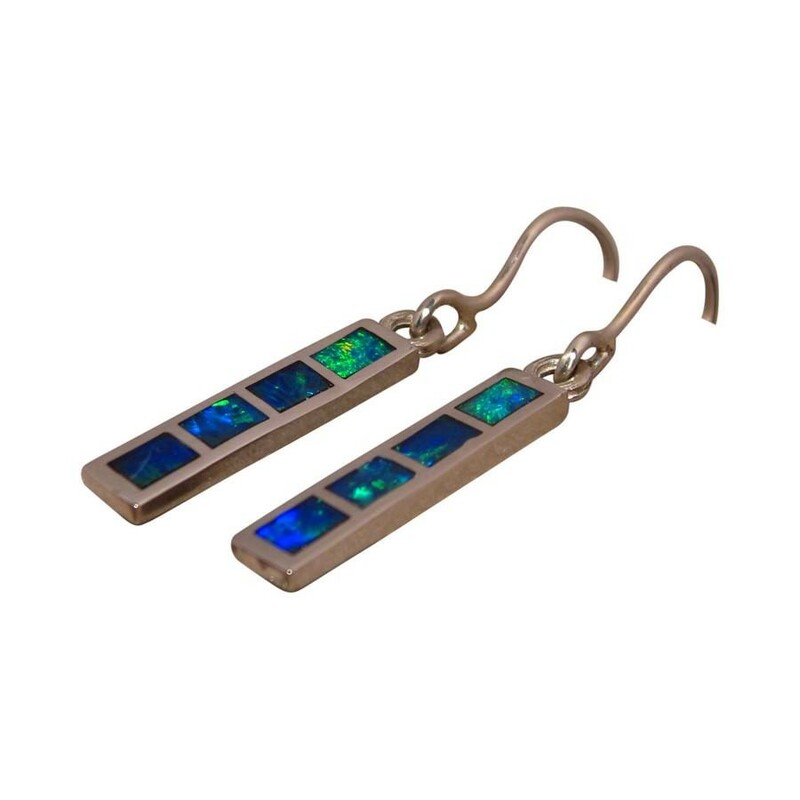 The earrings are rectangle in shape and each earring is inlaid with four Lightning Ridge Opals that flash in a mix of patterns that the video below will show. A short drop earring that is secured to the ear with shepherds hooks that are complete despite the images not showing the full hook. 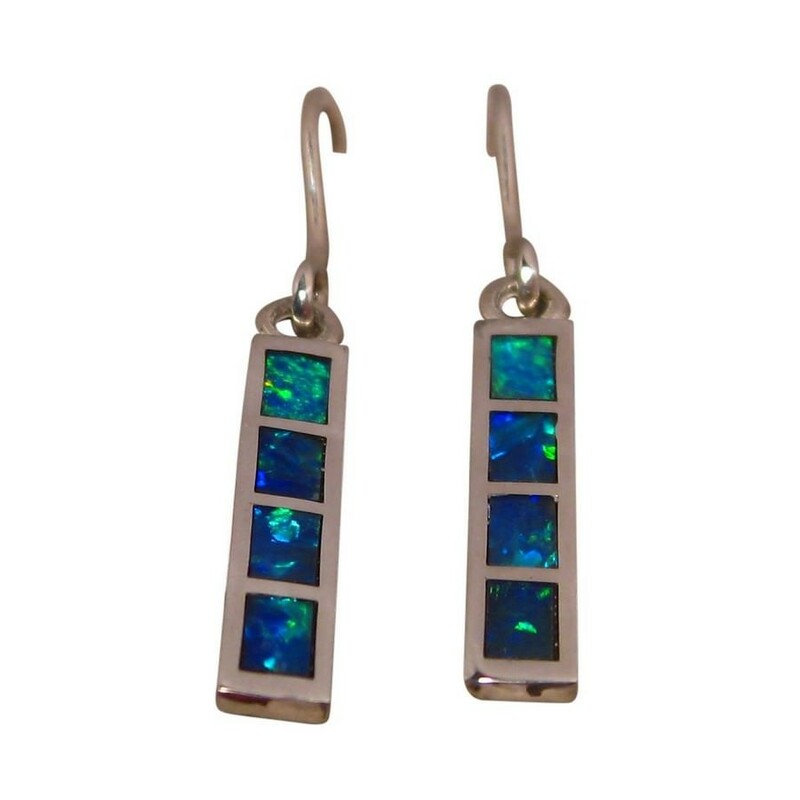 A beautiful pair of Opal earrings that are ready to ship now and would make an ideal gift.